Give mum the ultimate gift of relaxation this Mother’s Day with a Weeding Women gift voucher. And enjoy an extra special gift for FREE. 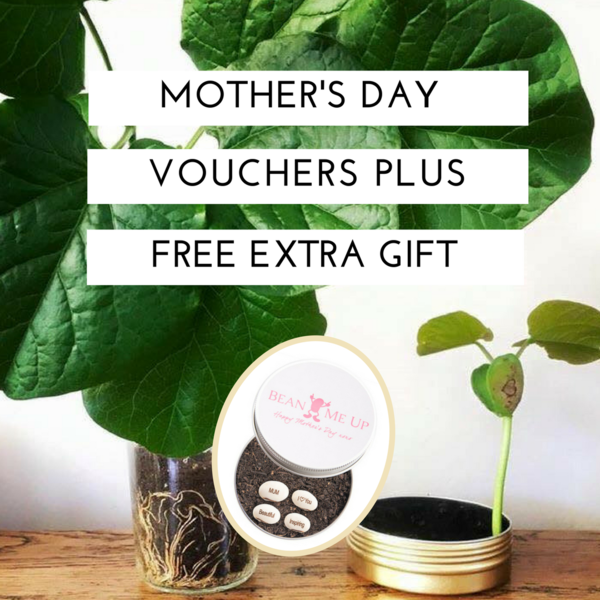 With every voucher purchased your mum will receive a beautiful limited edition tin of grow beans from Bean Me Up . Valued at $16.95, these gorgeous beans come laser engraved with words of love (I Love You; Beautiful; Inspiring). Once planted, they’ll grow into a beautiful plant with their message of love still intact. What a lovely reminder for mum of her thoughtful children! Vouchers are $220 and can be purchased online. Simply click this link to buy or for more information, request a callback on 1800 24 74 84. Be quick to secure your free tin of beans as our stocks are limited. Happy Mother’s Day to all our extra special Mums from all of us at Weeding Women.